Human nature impels us to organize our world into categories to make everything seem simpler. Seem simpler because when we put something into a category the complexity is masked, essentially it is lost. Botanists use Latin nomenclature to help organize the incredible complexity of the plant world into family, genus, and species. Have you ever considered what category of gardener you might be? Have fun finding yourself in this imagined typology. Native Plants Gardener: This person prefers to use native plants based on the belief that this approach is most beneficial to our environment and our planet. 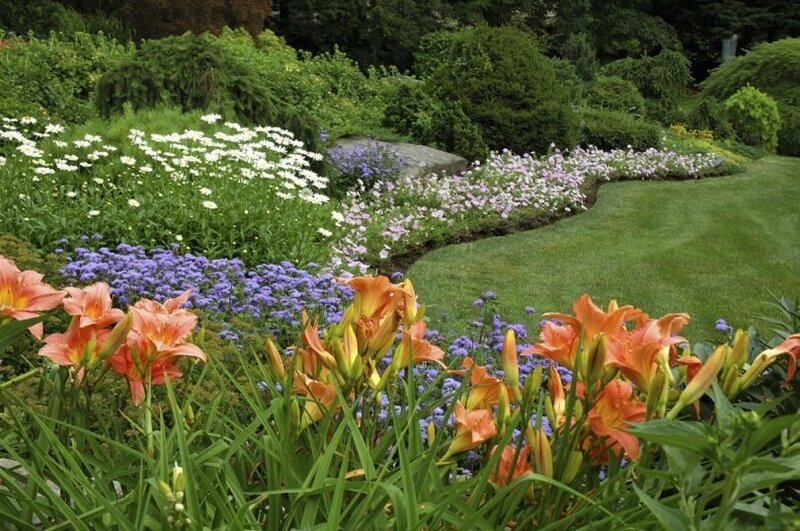 Most will permit cultivars of native species to be included. Attention to animal and insect habitat is also very important to this type of gardener. Designer Gardener: The focus here is to arrange plants in a visually pleasing manner, sometimes replicating an identifiable style such as Charleston, Asian, English cottage, or modern. Some enjoy developing a personal style. Decorative elements such as rocks, art, or water features are often included. Gardening is a creative outlet for this person. Food Gardener: This person enjoys growing vegetables and fruits. Food safety and food security are important, which includes avoiding the use of chemical fertilizers or pesticides. Making compost, collecting rainwater, and using organic practices are fundamental. Recently, raising chickens for eggs (and their manure for the compost) has been integrated into these gardens. Social Gardener: Because of their enjoyment in being around other like-minded people and sharing their love of plants and gardens, this type is likely to belong to a local garden club or a national plant society and travel to conventions or attend organized plant tours. Some social gardeners participate in community gardens or volunteer at a public garden. Collector Gardener: This person typically selects one category and attempts to amass all the cultivated varieties. Great satisfaction is derived from finding a variety they do not already have, and since new varieties are always being introduced, they are always seeking new plants. Popular categories include Japanese maples, conifers, and hostas. Sometimes they refer to themselves as “plant addicts” in recognition of their quest for the next high, i.e. a new plant. Professional Gardener: This is someone who finds a way to make a living in the world of plants as a nurseryman, landscaper, designer, garden writer, teacher, researcher, speaker, florist, or farmer. Their interest in plants has grown from hobby to daily focus. Joyous Gardener: With a deep connection to the plant world, they easily access feelings of joy in regard to plants. They garden passionately, and are the type to do everything themselves. They will work all weekend in the garden and though utterly exhausted, feel complete satisfaction. When they visit a plant nursery, their big smile and excitement is impossible to miss. They grow many different groups of plants. Competitive Gardener: Competition and the recognition of having their garden or plant win is the motivating force. Their landscape may be named “Yard of the Month” for their community. They are likely to enter a flower or vegetable in the North Carolina State Fair. Sometimes two will have a friendly competition; if one buys a particular plant, the other will also. Cautious Gardener: This person may be new to gardening or someone who has a history of losing plants without understanding why. They are drawn to gardening but it remains a mystery. Education and improving observational skills can transform the cautious gardener into another type. Therapeutic Gardener: Often someone with a stressful office job, this gardener finds the activity provides balance in his or her life. Others in this group include those who plant trees in memory of a loved one or compose a memorial garden. Eclectic Gardener: This person exhibits features from most of the categories. They are deeply involved with gardening and want to try all of the different methods, plant categories, and styles. John Monroe, who considers himself an eclectic gardener, gardens in Bahama, NC, and owns Architectural Trees, a specialty tree nursery also in Bahama.